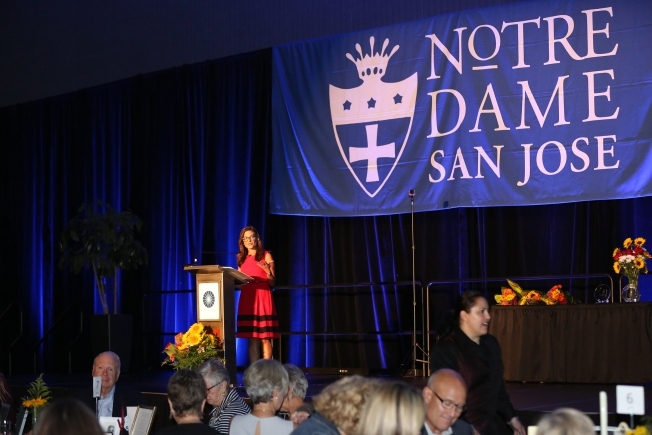 Notre Dame's 10th Annual Women of Impact luncheon takes place Friday, October 12 at the San Jose Convention Center. The event spotlights the role women have played in history, recognizes and celebrates those making significant contributions to society today and showcases the regional and global impact of developing meaningful and integrated learning programs for young women. The oldest high school for girls in the western United States, Notre Dame has been educating the women of Santa Clara Valley since 1851. Supporting the discovery of each young woman's voice and leadership capabilities, Notre Dame has been preparing women for lives of distinction ever since. This year's honorees are Notre Dame Alumna Shirlee DiNapoli Schiro and the Executive Director of IBank, Teveia Barnes. Funds raised through Women of Impact directly supportes opportunities for young women to benefit from leadership programs in science, technology, engineering, the arts and math (STEAM) at Notre Dame High School.